Just a quick heads up to remind you that the camera modules on the Raspberry Camera board ARE STATIC SENSITIVE. This means you should earth yourself before handling the module (radiator, PC case etc). 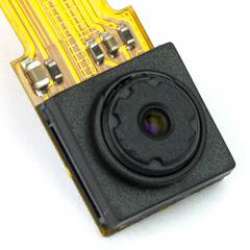 Failure to do so can result in a dead camera module. 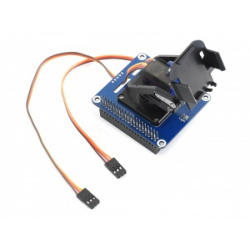 Ideal for a mini CCTV system, this set of horizontal and vertical motion servos will give you Pi camera movement with a minimum of fuss. This neat little adapter board is designed to join two Raspberry Pi Camera board cables together, allowing you to extend the length of the camera cable. 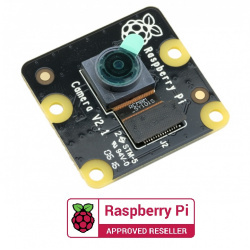 The Raspberry Pi Zero comes equipped with a special mini camera port which is smaller than the standard connector for the Raspberry Pi Camera and Noir Camera! So how do you connect to it? With this special camera cable designed specifically for the Raspberry Pi Zero of course! 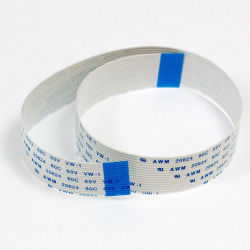 This is an extra long version, with a 150mm total length! You'll have to know how to control this unit from you GPIO port or a servo controller module(Not included). Specially designed for R/C car and robotics; Can be pan/tilt 180 degrees; Can hold ultrasonic sensor, IR sensor, camera or other sensors. Don't worry though, not all is lost if that cable does happen to break! 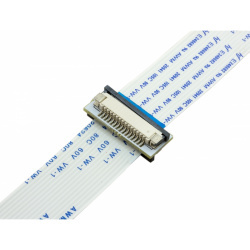 Replacement raspberry pi camera board cables are available and it's very easy to swap them over! This replacement cable is 500mm long. This replacement cable is 1000mm long. This minimal Camera for the Pi Zero is perfect for small camera projects where space is at a premium. 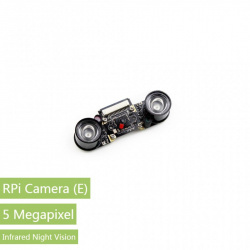 The sensor is 5MP, and the whole shebang is mounted on a flexible circuit board. As such, a little care is needed when handling, just like the connector on the Pi Zero. Easy there Lennie. Otherwise it's an economical and svelte solution for birdcams, bodycams, home security and simple computer vision projects. Only for Raspberry Pi Zero with CSI camera port. Pan-Tilt HAT lets you mount and control one of our pan-tilt modules right on top of your Raspberry Pi. The HAT and its on-board microcontroller let you independently drive the two servos (pan and tilt), as well as driving up to 24 regular LED (with PWM control) or NeoPixel RGB (or RGBW) LEDs. There's also a handy slot through which you can route the servo, LED, and camera cables. The module pans and tilts through 180 degrees in each axis. Use Pan-Tilt HAT with a Pi camera for face-tracking. Or mount it on top of your roving robot as a set of eyes. Why not stick a foam sword on top and make it swashbuckle?! There's absolutely no soldering required, as the servos on the pan-tilt module have female jumper wires attached and we've soldered a strip of right-angled header pins to the underside of the HAT to connect them up. We've also included a handy little acrylic camera mount to hold your camera snugly in the head of the pan-tilt module. The MagPi said, in their four star review, that Pan-Tilt HAT was a "highly enjoyable and extremely cute accessory". We've put together a super-simple Python library to make it super-easy to control Pan-Tilt HAT. Just tell Pan-Tilt HAT to which angle you'd like it to pan or tilt (from -90 to +90 degrees) and away it goes! There's even a couple of examples showing you how to pan and tilt, and control connected NeoPixels. The servos draw a lot of current, thus we recommend a good quality 2.5A power supply like the official Raspberry Pi power supply. Connect the brown wires of the servo cables to the GND pins on the servo channels. Servo channel 1 controls pan and servo channel 2 controls tilt, although you can easily swap these in software. 5) support professional SLR camera tripod head and zoom lens. 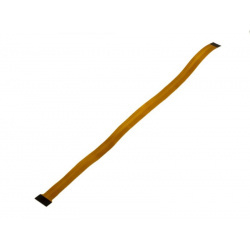 This replacement cable is 600mm long. A sophisticated, hackable, 32x24 pixel thermal camera breakout! Use it to monitor the temperature of your CPU or coffee pot, or to build your own heat-seeking night vision camera. Works with Raspberry Pi or Arduino. 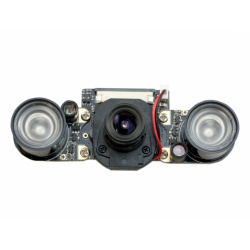 It's perfect for building into projects - industrial, scientific, or just fun - and much more affordable than most thermal cameras. 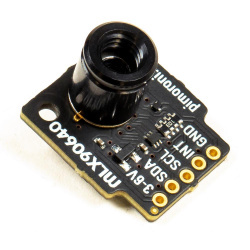 Our breakout makes it easy to use the camera with your Raspberry Pi or Arduino, using I2C and 3-6V supply. And it's available in two different fields of view, 55° (standard) or 110° (wide angle) depending on your preference. We've written software in C that you can use to generate images and video from the MLX90640 cameras. SparkFun also provide an example Arduino/Processing sketch for the MLX90640. This is a 2-DOF pan-tilt kit designed for Raspberry Pi. 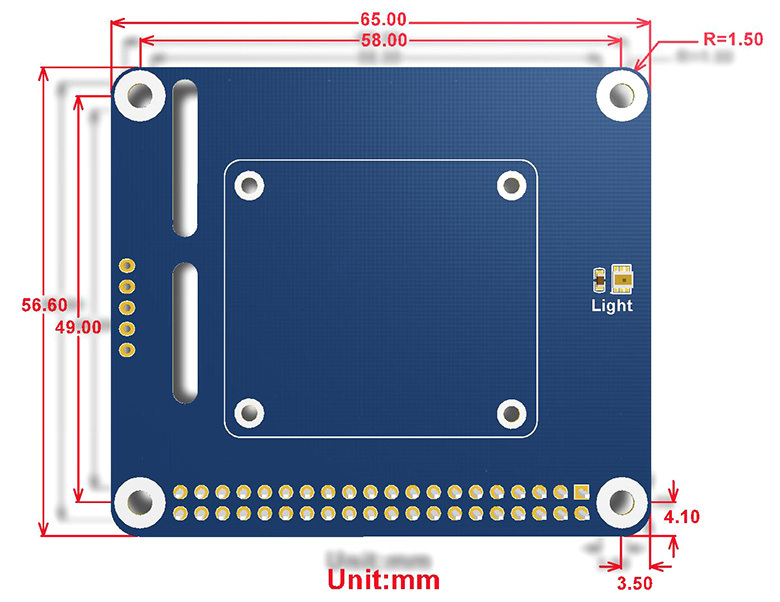 With onboard PCA9685 PWM chip and TSL2581 ambient light sensor, it allows the Pi to control camera movement and sense light intensity through I2C interface. This wide angle lens will allow you to capture more of the scene in your photo. Perfect for getting those beautiful landscape shots. 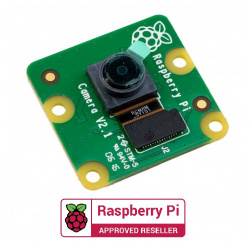 Take pictures and capture video with your Raspberry Pi using the command line and code! This telephoto lens zooms in 2x on your subject, allowing you to get those long distance shots. 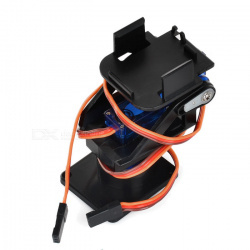 Please note: These lenses are designed to be attached to a case, using the self-adhesive metal ring. They do not attach directly to the Raspberry Pi camera!